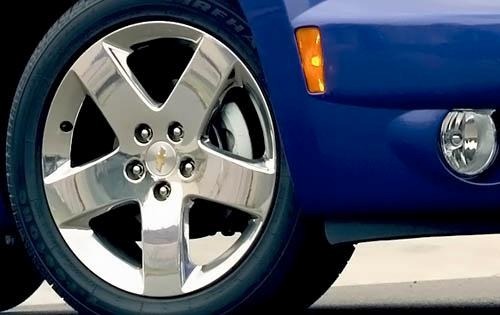 Includes 17" chrome-tech cast aluminum wheels, P215/50R17 all-season tires and power sunroof with express open and close. 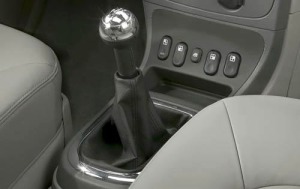 Includes 5-speed manual transmission and short throw shifter. Includes Ecotec 2.4L DOHC SFI 4cyl engine with variable valve timing, 172 hp @ 5800 rpm, 167 lb-ft of torque @ 4500 rpm, E85 FlexFuel capability and 3.5" bright chrome exhaust tip. Includes emissions controls for vehicles sold in California, Connecticut, Massachusetts, New Jersey, New York, Oregon, Pennsylvania, Rhode Island or Washington. For vehicles ordered by dealers in states of California, Connecticut, Massachusetts, New Jersey, New York, Oregon, Pennsylvania, Rhode Island or Washington with Federal emissions. Includes cigarette lighter element and ashtray. 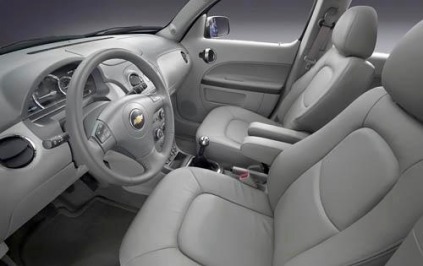 Includes leather seating surfaces, heated driver and passenger seats, leather- wrapped steering wheel with mounted audio controls, Bluetooth cell phone connectivity and leather-wrapped shift knob. Included for required states (no charge option). Includes vehicle with standard equipment, Pioneer premium 7-speaker audio system with amplified tweeters and rear subwoofer, leather-wrapped shift knob, leather-wrapped steering wheel with mounted audio controls, Bluetooth cell phone connectivity, auto-dimming inside rearview mirror with compass display, front fog lamps, Ecotec 2.4L DOHC SFI 4cyl engine with variable valve timing, 175 hp @ 6200 rpm, 165 lb-ft of torque @ 4800 rpm and E85 FlexFuel capability, sport suspension, 17" Chrome-Tech cast aluminum wheels with P215/50R17 all-season tires, color-keyed running boards, 3.5" bright chrome exhaust tip, and bright chrome grille, outside mirror caps, liftgate applique, door handles and roof mounted side rails (when equipped). Includes AM/FM radio with MP3 compatible CD player, seek-and-scan, digital clock, auto-tone control, Radio Data System (RDS), speed-compensated volume, TheftLock, auxiliary input jack, 36 cross-band presets and USB port. Includes bright chrome grille, outside mirrors, liftgate applique, door handles, roof mounted side rails and 16" chrome aluminum wheels. Includes Pioneer premium 7-speaker audio system with amplified tweeters and rear subwoofer. 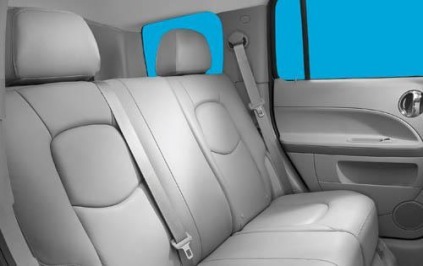 Includes leather seating surfaces and heated driver and passenger seats. Includes 16" chrome aluminum wheels, rear spoiler, bright chrome grille and power sunroof with express open and close. Includes power sunroof with express open and close. Includes bright chrome grille, outside mirrors, liftgate applique, door handles and 16" chrome aluminum wheels. Includes emissions controls for vehicles sold in Connecticut, Maine, Massachusetts, New Jersey, New York, Oregon, Pennsylvania, Rhode Island, Vermont and Washington.